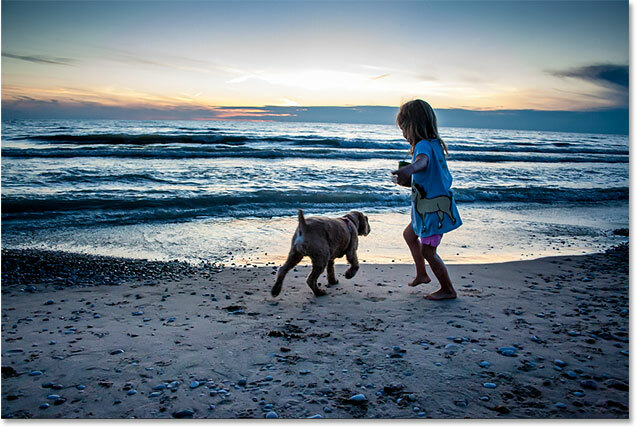 Learn how to open images, including raw files, JPEGs and TIFFs, directly into Photoshop's amazingly powerful image editing plugin known as Camera Raw. So far in this series on getting our images into Photoshop, we've learned how to set Photoshop as our default image editor in both Windows and Mac. We learned how to open images from within Photoshop itself. And we learned how to open images into Photoshop using Adobe Bridge. Yet even though Photoshop is still the world's most powerful and popular image editor, times have changed. These days, especially if you're a photographer, you're less likely to open your images into Photoshop itself (at least initially) and more likely to open them into Photoshop's image editing plugin, Camera Raw. Camera Raw was originally designed to let us process raw files. That is, images that were captured using your camera's raw image file format. 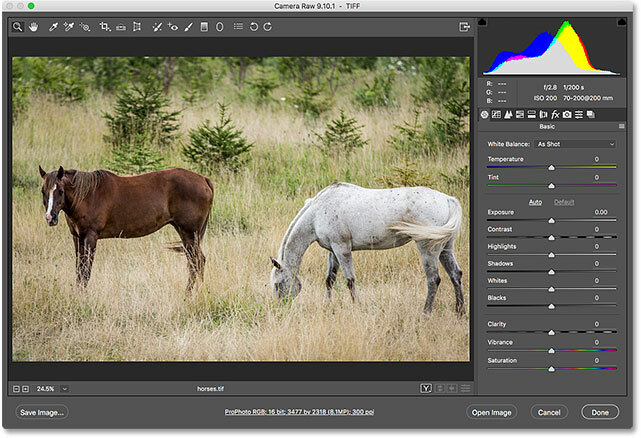 But Camera Raw has grown to include support for JPEG and TIFF images as well. 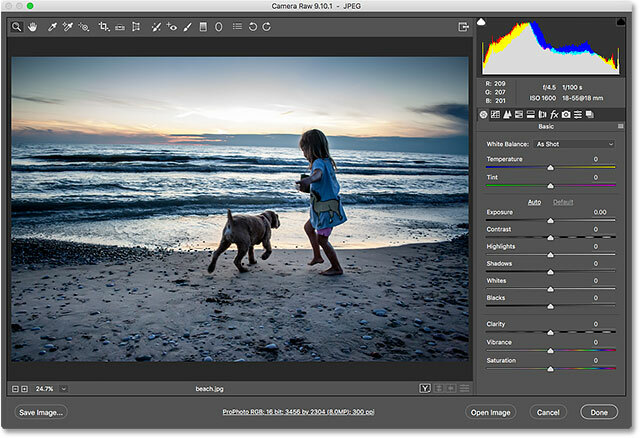 Unlike Photoshop which is used by people in virtually every creative profession, Camera Raw was built with photographers in mind, using a simple layout that matches a normal photo editing workflow from start to finish. 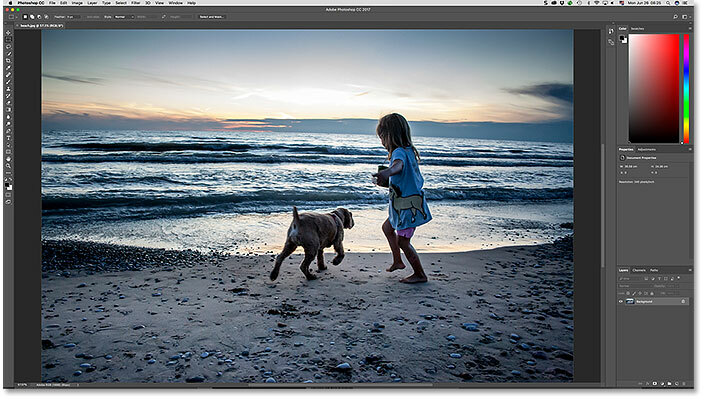 This makes editing images in Camera Raw much more natural and intuitive. And, Camera Raw is completely non-destructive, meaning that nothing we do to an image is permanent. We can make any changes we like, any time we like, and we can even restore the original, unedited version at any time. We're going to cover Camera Raw is great detail in its own series of tutorials. For now, let's learn how to open our images directly into Camera Raw. We'll start with raw files since they're the easiest to open. Then, we'll learn how to open JPEG and TIFF images. The best way to open images into Camera Raw is by using Adobe Bridge, so that's what I'll be using here. If you're not yet familiar with Adobe Bridge, I covered the basics, including how to install Bridge, in the previous How To Open Images From Adobe Bridge tutorial. Be sure to check that one out before you continue. This is lesson 7 of 10 in Chapter 2 - Opening Images into Photoshop. Let's get started! Going to File > Browse in Bridge. Bridge displaying thumbnails of the images in the folder. Three images, three different file types. Double-clicking on the raw file's thumbnail. The raw file opens in Camera Raw. Image © Steve Patterson. 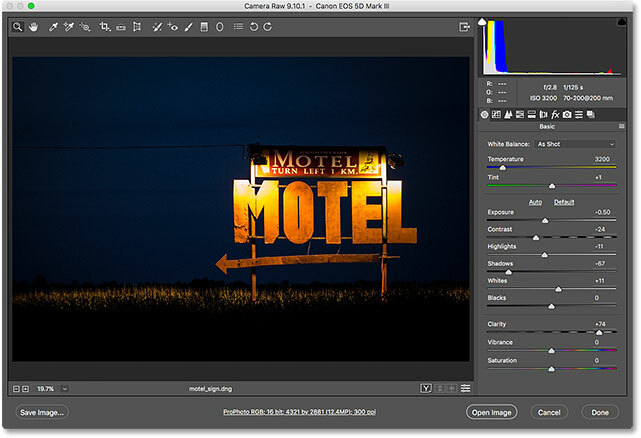 Click "Open Image" to send the image from Camera Raw to Photoshop. Clicking the "Done" button in the lower right corner. Double-clicking on the JPEG file's thumbnail. The JPEG image opens in Photoshop, not in Camera Raw. Image © Steve Patterson. Going to File > Close and Go to Bridge. Going to File > Open in Camera Raw. Choosing "Open in Camera Raw" from the thumbnail's menu. The JPEG image now opens in Camera Raw. 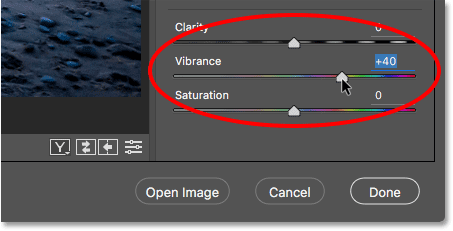 Dragging the Vibrance slider in Camera Raw to increase color saturation. The result after increasing the Vibrance setting in Camera Raw. Clicking Done to accept the edit and return to Bridge. This returns me to Bridge. But notice that something is different. If we look in the upper right of the JPEG file's thumbnail, we see an icon that wasn't there before. A Camera Raw settings icon appears in the upper right of the JPEG thumbnail. Earlier, we saw that when we double-click on a JPEG file's thumbnail, Adobe Bridge opens the image in Photoshop, not in Camera Raw. 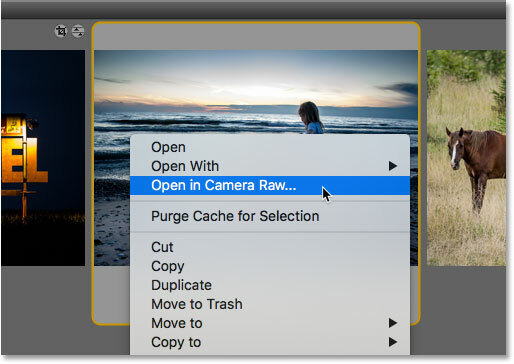 But, whenever we already have Camera Raw settings applied to a JPEG file, Adobe Bridge will automatically re-open the image in Camera Raw just by double-clicking on it. Double-clicking the JPEG file thumbnail, this time with Camera Raw settings applied. Adobe Bridge automatically sends the image back to Camera Raw. 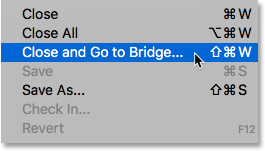 Clicking the Done button to return to Bridge. The same rules for opening JPEG files into Camera Raw from Bridge also apply to TIFF files. Camera Raw fully supports TIFF images. But by default, double-clicking on a TIFF file's thumbnail in Bridge will open the image in Photoshop, not in Camera Raw. Clicking on the TIFF file in the Content panel. Then, just as we did with the JPEG image, go up to the File menu and choose Open in Camera Raw. 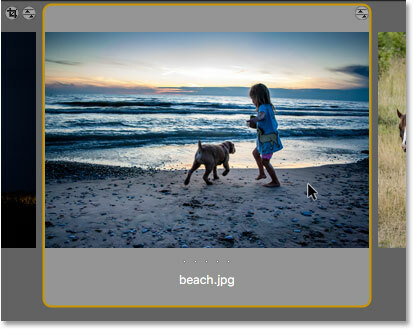 Or, right-click (Win) / Control-click (Mac) on the thumbnail itself and choose Open in Camera Raw from the menu. Clicking the "Open in Camera Raw" icon. 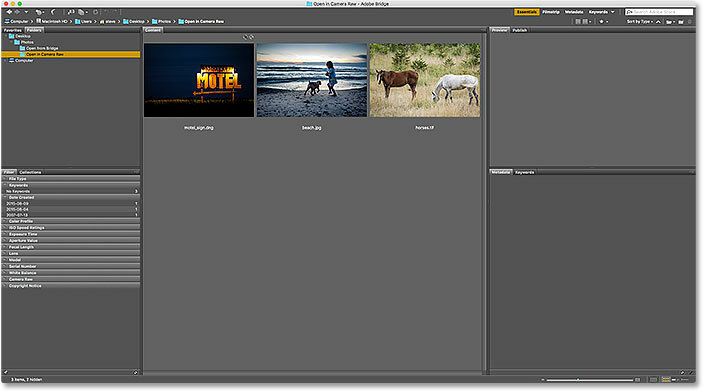 Adobe Bridge opens the TIFF file in Camera Raw. Image © Steve Patterson. Just as I did with my JPEG image, I'll make a quick edit to my TIFF file. This time, I'll use Camera Raw to convert the photo to black and white. Along the right of the Camera Raw dialog box is the panel area. The Basic panel is the one that's open by default (which is where I made my Vibrance adjustment earlier), but there are other panels available as well. We can switch between panels by clicking on the tabs just above the current panel's name. 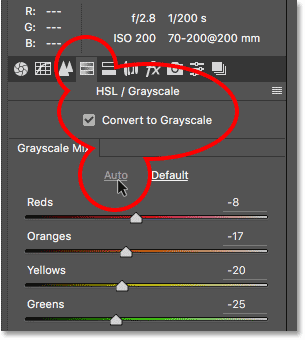 Converting the image to black and white using the HSL / Grayscale panel. The Auto black and white conversion in Camera Raw. Clicking "Done" to return to Adobe Bridge. Back in Bridge, we see that I now have that same icon that we saw with the JPEG file, this time in the upper right of the TIFF file's thumbnail. The icon is telling me that I have one or more Camera Raw settings applied to the image. The Camera Raw settings icon appears in the upper right of the TIFF thumbnail. Just as with JPEG files, TIFF files that already have one or more Camera Raw settings applied to them will automatically re-open in Camera Raw when we double-click on their thumbnail. The TIFF file re-opens in Camera Raw. And there we have it! 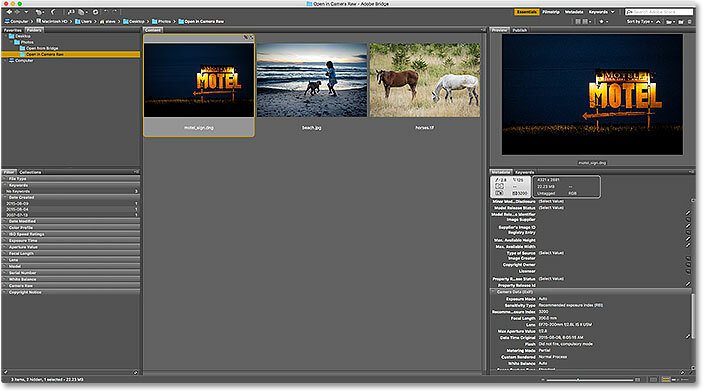 While Adobe Bridge is great for opening files into Camera Raw, many photographers start their image editing workflow not in Camera Raw but in Adobe Lightroom. Yet while Lightroom is extremely powerful, it still has limits on what it can do. For more advanced editing work, we still need to open our images into Photoshop. In the next lesson in this chapter, we learn how to move raw files from Lightroom into Photoshop, and how to return the image back to Lightroom when we're done!